Grim reaper (or the Angel of Death) is commonly used for representing death and its inevitability. 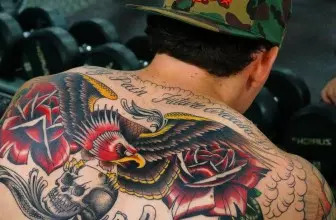 Mostly, these types of tattoos are evil and dark in nature. However, it can also reflect positivity. These are not mainstream tattoos, but they are very popular. Usually, men like to wear these tattoos, but women also like to wear such tattoos. These types of tattoos can be designed in different ways. However, black ink and large sized images are used for designing these tattoos. You can design them in various sizes. But, it needs lots of details, so larger size is much better. 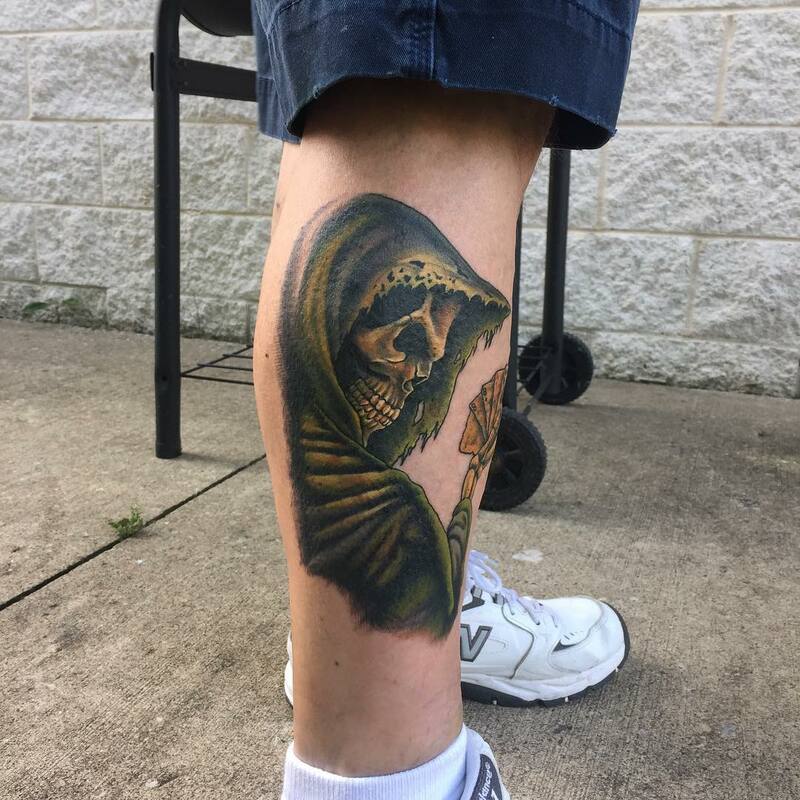 Like grim reaper, no other tattoo symbol in this world that represents death. 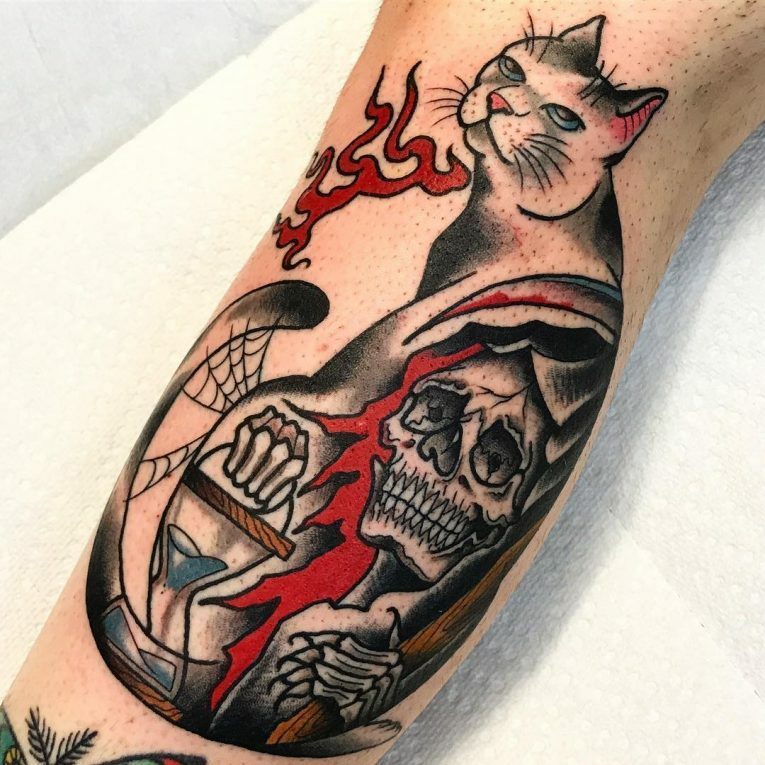 These tattoo designs are unique and fierce looking and they have the power to catch the attention of everybody. If you can do it properly, these tattoos are absolutely stunning. Different myths and legends associated with Grim Reaper. Some believed that Grim Reaper used his sharp scythe to separate the soul of humans from body. After this, Grim Reaper accompanies soul to its final resting place, which can be hell or heaven. 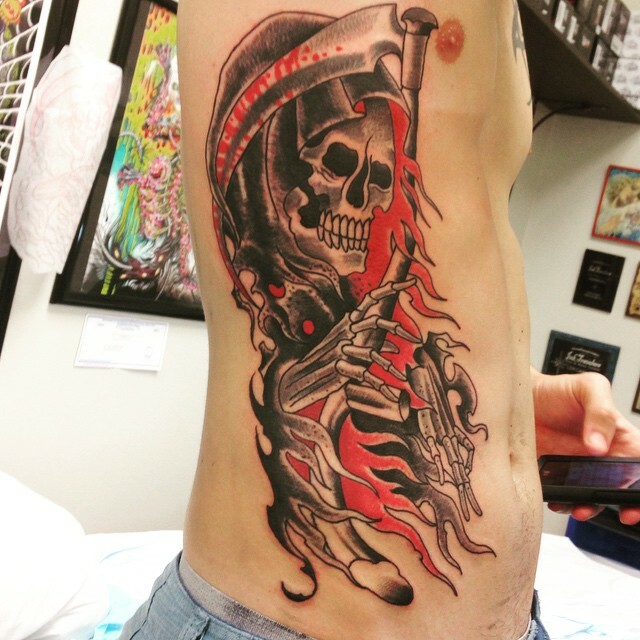 The tattoo designs can be portrayed in a variety of different ways. The reaper is designed in a long black robe with long scythe. Grim Reaper holds his scythe in different positions, which include over his shoulder or front. The robe is very lengthy, so certain parts of reaper are shown. Skeleton hands hold long scythe. Face of Grim Reaper is portrayed as skull or skeleton. But, some tattoos are designed faceless. 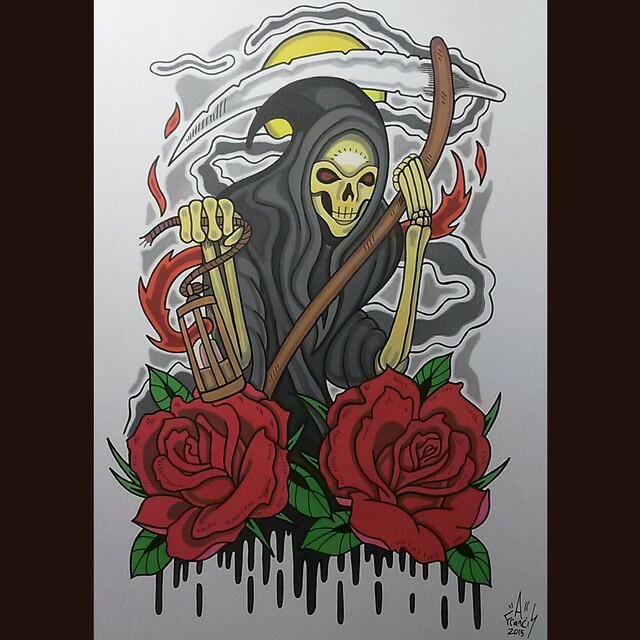 Grim reaper tattoo designs are very old. Usually, these are portrayed by using black or shades of dark grey. 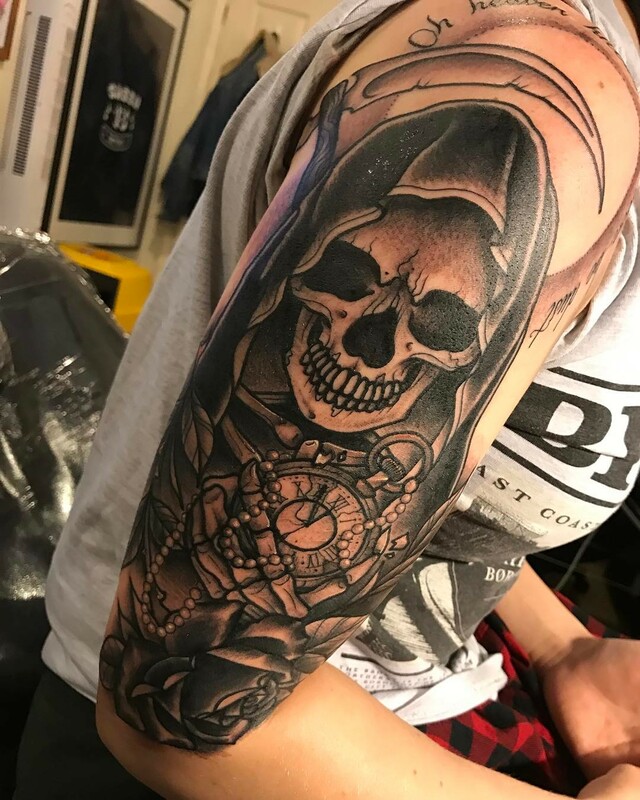 Reaper represents death, so black color is associated with these tattoos. But today, some tattoo artists use some vibrant colors to express their creative skills. These types of tattoos are more popular and these designs are viewed less evil. If you want to get this tattoo design, you should decide which color you prefer most. Grim Reaper is commonly associated with a story from Bible. Grim Reaper is associated with four horsemen of Apocalypse, but the 4th one represents death. Mostly, grim reaper is portrayed negatively because of the symbol, death and evil. However, in Roman mythology, Grim Reaper is portrayed positively. The Romans considered it as a symbol of good luck. Grim Reaper was prominent during Middle Ages. These are very popular today. 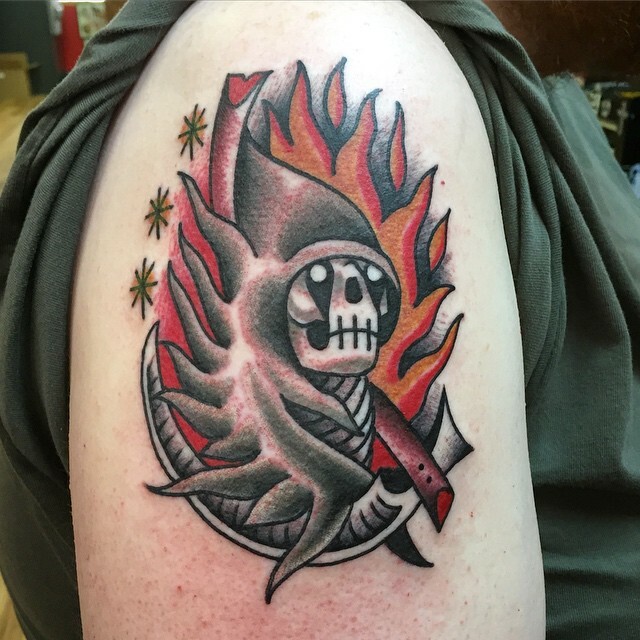 Though the symbol is commonly associated with evil death, lots of people love to wear Grim Reaper designs. 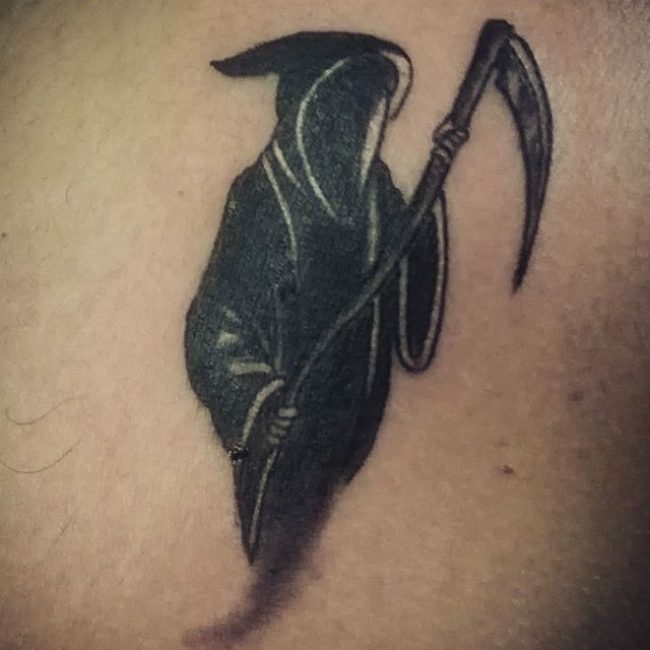 Tribal grim reaper designs remind people that they may not cheat death next time. Those who escaped from death narrowly, like car accident victims, prefer to wear these designs due to the same reason. Grim reaper in tribal art pattern is very attractive. You can use barbed wire pattern in this tattoo design. Dark lines and sharp edges provide you a marvelous design. However, you must plan it elaborately with your tattoo artists, which is essential to get a perfect design. 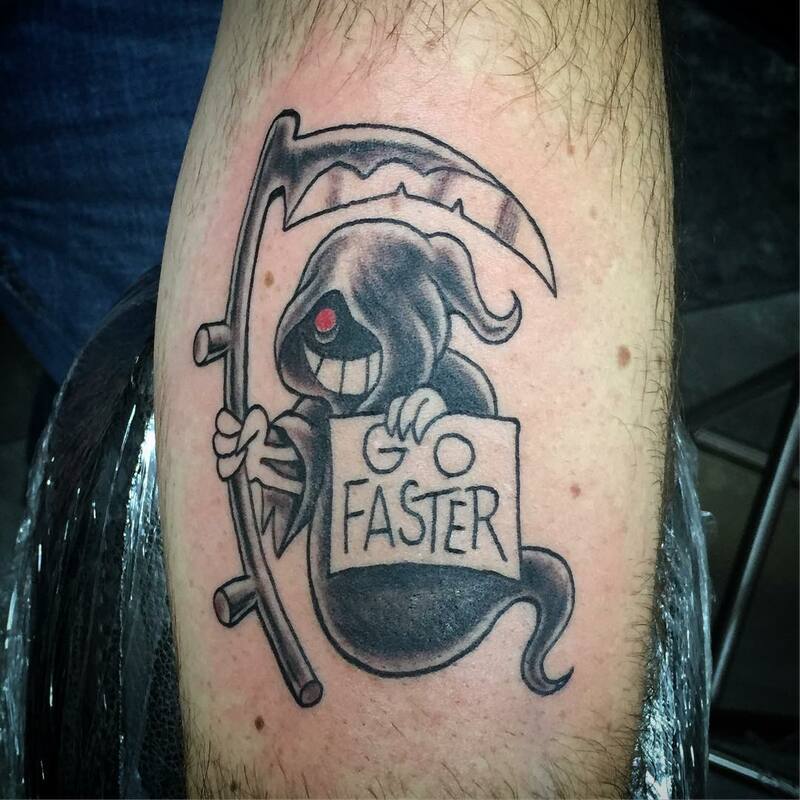 This is another great tattoo design in grim reaper. It conveys very simple meaning, you cannot deny. Death is inevitable and it will come for you one day. You can demonstrate the evil grim reaper in a number of ways. But, you can differentiate the designs from others if you give importance to details as well. Razor sharp scythe and long dark coat can be illustrated differently. It can be a menace of nature. People get this tattoo to express personal or funny side of them. You can use lots of skull grim reaper designs. Before portraying, just check the gallery pictures of your artist. If you want to personalize the design, you can add images to the skull grim reaper. If you add roses or guitar in the design, you will get more personal look design. You will get a comical style design if his skeleton hands placed over his eye socket. 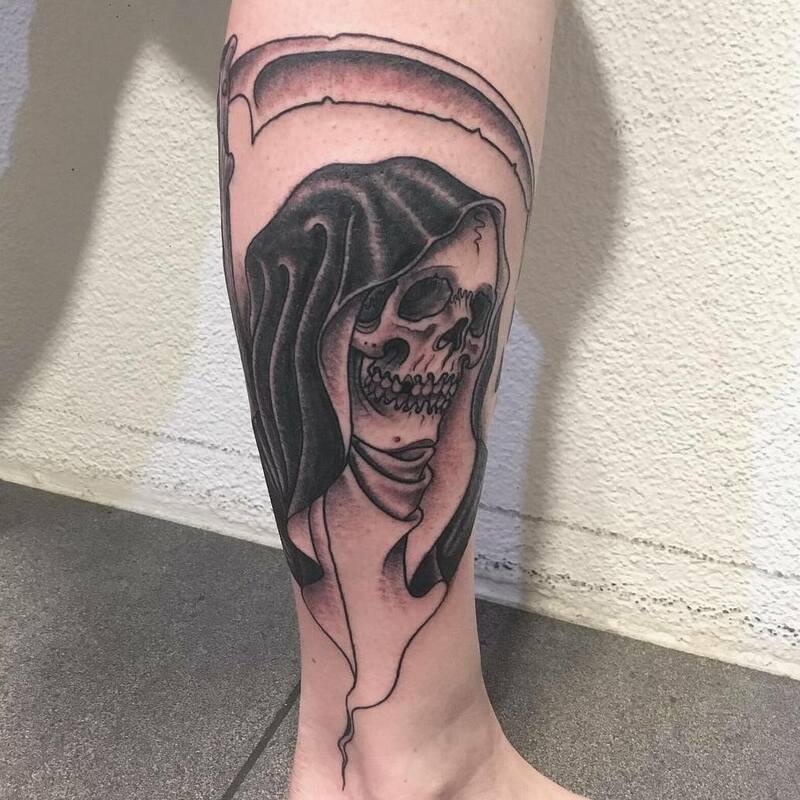 These days, women also like to design their body with grim reaper. However, general designs are masculine in nature. But, if your tattoo artist is highly efficient, he/she can alter it a bit to get a feminine touch. However, the symbolic nature of grim reaper message is same for both men and women. That means, death will come for you. You will get a feminine grim reaper if you add the face of a woman in the place of skull, jewelry or long flowing hair. 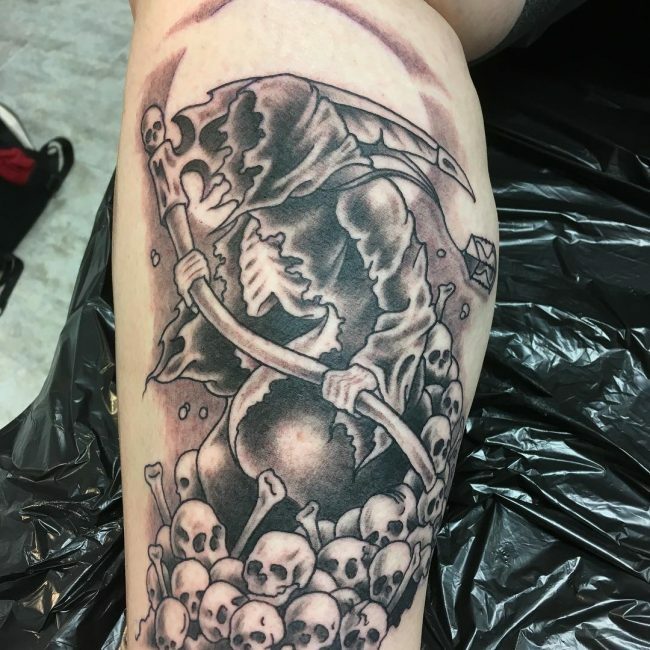 This is also a very popular type grim reaper design. 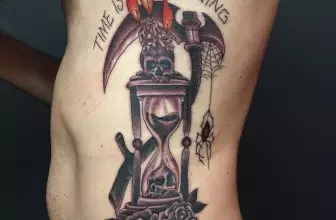 Hourglass represents, ‘your time is running out.’ Hourglass is the focal point in these types of tattoo designs. You should check the gallery pictures to get the best hourglass design. Your design will stand out from the crowd if you give extra effort to make your hourglass. 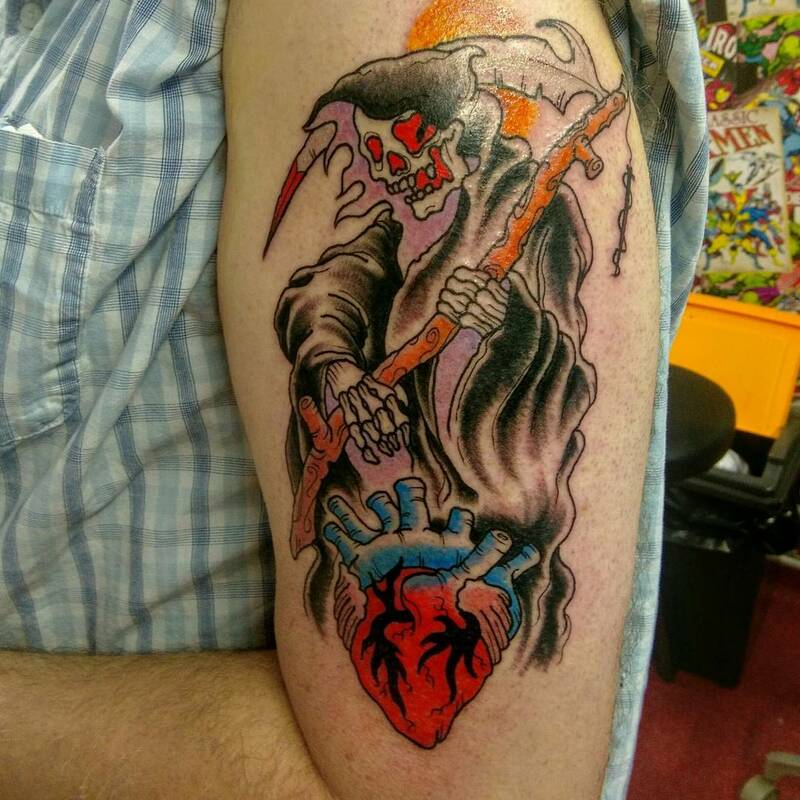 You must select the color of your grim reaper tattoo design very carefully. Mostly, people select black and white items for body art. Color depends on the ability and skill of artists. You must spend time to shop the best one. The work of artists must be checked carefully. 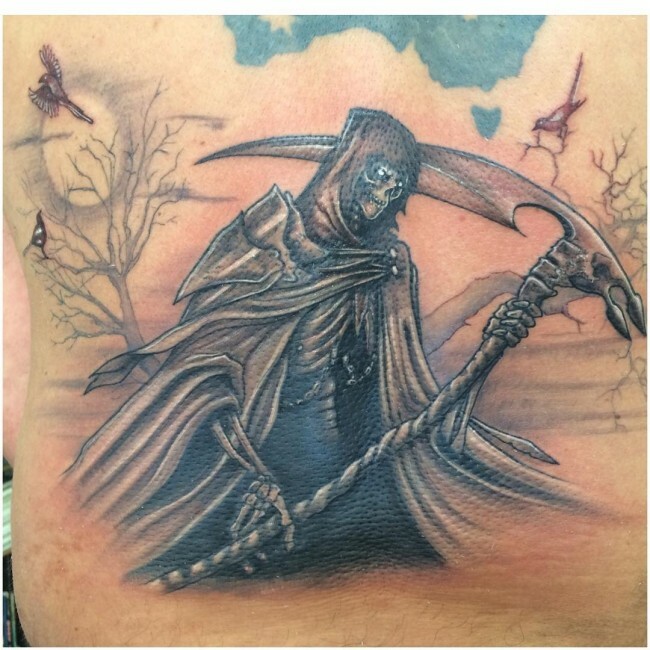 There are dramatic differences in badly shaded and excellent shaded grim reaper tattoo designs. If you want some colors, it must be added in the most subtle way. Some grim reapers are designed in full color. Plenty of galleries, designs, illustrations, pictures and images are available today. You should check everything to select the most suitable one. 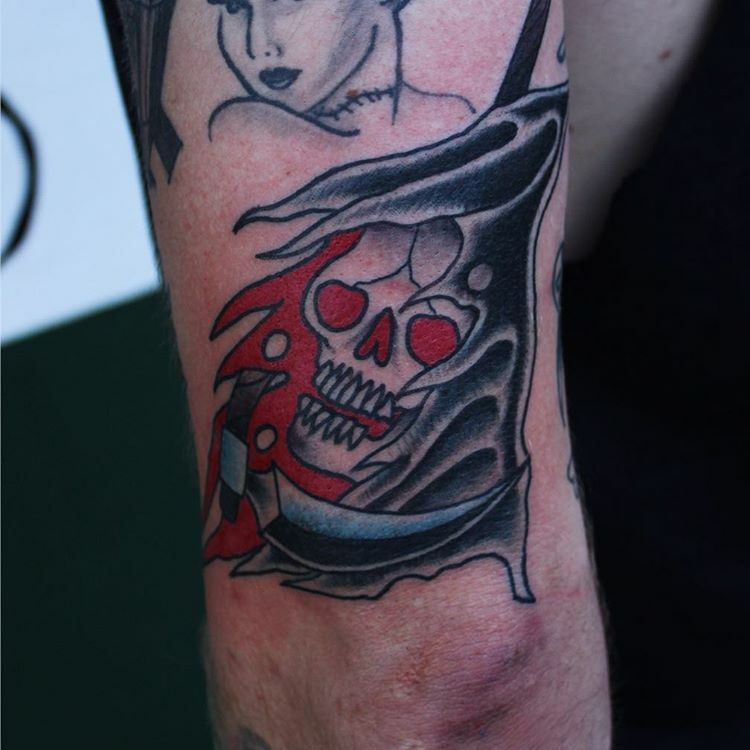 Usually, the grim reaper tattoo designs are medium to large size designs. So, you can portray it perfectly on you upper arm, back and shoulder blade. You can fit it perfectly on your leg as well. 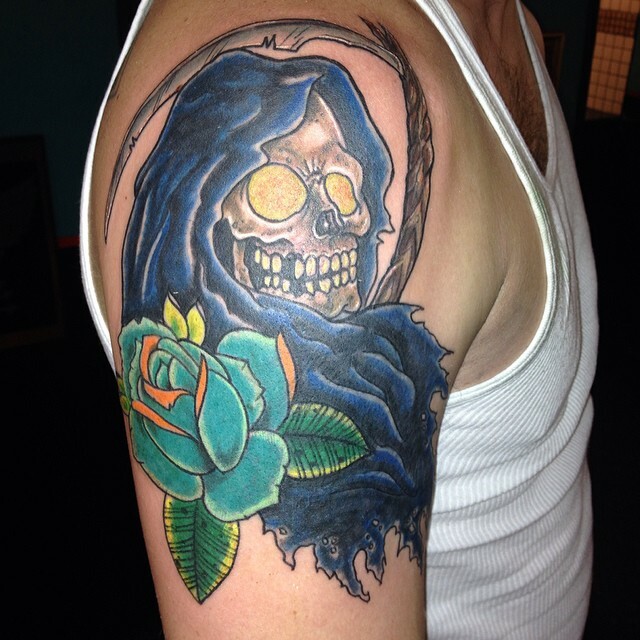 However, wherever you place it, you cannot hide a grim reaper like other tattoo designs. You should keep this in mind while shopping for ideas. Death is not the end, but it is the beginning of something new. Grim reaper also signifies a passage to the beginning of another life. It can be a reincarnation, rebirth or a different form of life after death. 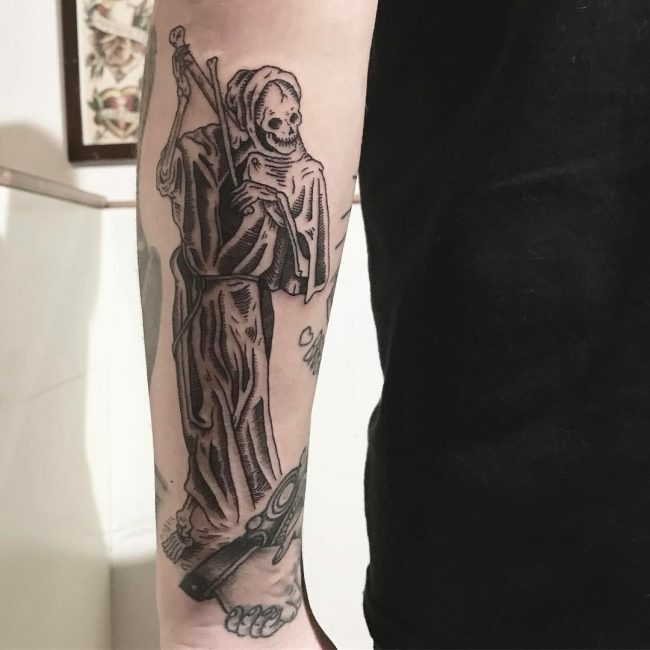 Grim reaper tattoo reminds you always that you will meet the scythe bearer in due time. He will carry your soul to the afterlife to the ultimate place of judgment, punishment or rebirth. When you meet with disappointments, failures and pain, these tattoos remind you the temporary nature of life. So, live your life as cheerfully and happily as possible.